New documentary highlights how we became a #damnation and what we should do about it. Watch for a showing at Ventura College fall 2014! DamNation floods 23 Patagonia Retail Stores across the country today, Thursday, June 5th, 2014; #ThatDamNation photo contest ends June 7. 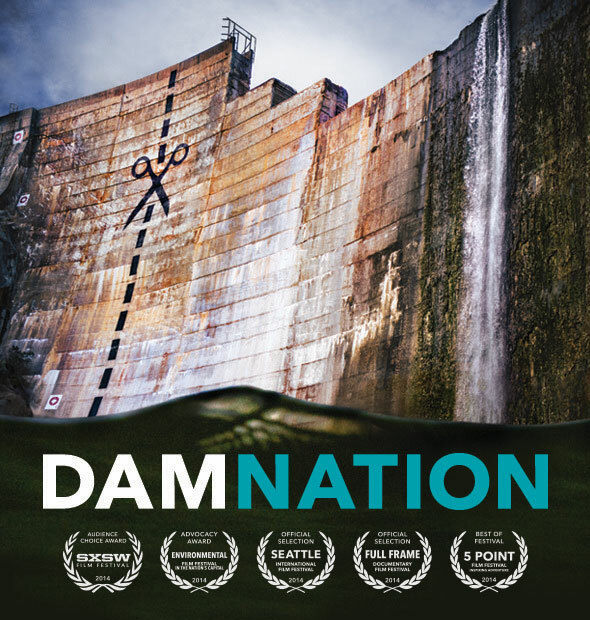 A ragingly powerful and award-winning documentary film, Damnation explores our dam culture and examines the change in “attitude from pride in big dams as engineering wonders to the growing awareness that our own future is bound to the life and health of our rivers.” The #ThatDamNation contest invites YOU to contribute to the conversation with photos of your own (scroll down for details). “DamNation’s majestic cinematography and unexpected discoveries move through rivers and landscapes altered by dams, but also through a metamorphosis in values, from conquest of the natural world to knowing ourselves as part of nature,”states the DamNation website.